U.S. Bureau of Labor Statistics recently released its unemployment figures for the nation for the month of February. The January numbers showed 8.3 percent of Americans were out of work. The State of Arizona’s most recent figures are from December, and show 8.7 percent of our residents are unemployed. Coconino County’s rate was 8.5 percent, while Maricopa’s was at 7.7 percent, and Pima County was at 7.9 percent during that same month. Updated state statistics are due out in mid-March. Carol Curtis with the Coconino County Career Center says Coconino County had the lowest unemployment rate in the state, with 7.7 percent in November, but she was disappointed by the nearly one percent increase in December. “A lot of merchants didn’t do the seasonal hires and they lost business to online retailers, so that meant our local merchants didn’t make that money,” Curtis said. Center workers are doing what they can to help. “At the career center, we are having monthly hiring fairs for various businesses. Before Five Guys opened, we had a hiring fair for them. They had 100 applicants and they hired about 30-40 people. We had a fair for Cal Ranch, too, and had lots of applicants, about 200, and the company hired about 30 people. Although the state’s unemployment figures are down a bit from six months ago, that doesn’t make Flagstaff’s unemployed citizens feel any better. For several years, Jalynd Hiatt worked as an electrician. He was also going to school to improve his skills and get additional certification. He says he couldn’t finish school because many of his classes were cancelled due to lack of enrollment. Hiatt has been out of work since October 2011 when the company he worked for laid him off due to a lack of contracts. At the time, he was earning $15 an hour. Now, when he calls potential employers and interviews for work, he’s told the company will pay him between minimum wage and $10 an hour, if they even have an opening. “I’m not lazy….I had four jobs most of my life, among other things, I was a security manager at the Orpheum, and worked for the electrical company full time. Most days I worked 20 hours a day and slept for three hours. I like working, and have my whole life,” Hiatt said. Now, he’s on unemployment insurance, which does not cover his rent, so he recently found a roommate to share his rented home. “I’m a single dad of a five-year-old son, if it wasn’t for unemployment, I don’t know what I would do,” he said. According to the Arizona Office of Employment and Population Statistics, in January 2011, 65,749 Arizonans were receiving unemployment insurance benefits. This January, 53,725 people receive the state-provided financial assistance, a drop of 12,024 citizens. Amy Deerman lost her job 18 months ago. “It was awful, but at least my husband had a job, but we have three kids. I went from being a customer service representative for a propane company applying at McDonald’s and Taco Bell.” After several months, she got a job at the Salvation Army last October. “I put together food boxes, help families find grants to pay their utility bills and I often refer them to jobs, or places in town where they post job leads,” Deerman said. Matthew Benson, Gov. Jan Brewer’s director of communications, points out Arizona’s unemployment rate is the state’s lowest since February 2009, but insists the governor is aware that it is still too high. “Last year, the governor spearheaded the most comprehensive economic legislation in memory, signing into law broad corporate tax cuts and targeted incentives with one goal in mind: to create quality jobs for Arizonans. We’re already seeing that effort bear fruit – Arizona ranked eleventh best in the nation in terms of job growth over the last year,” he said. With this being an election year, unemployment rates across the nation are often discussed during political debates and in media interviews. The Republican candidates and President Barack Obama all continue to address these issues, hoping they can convince the American public they are the right person to lead our nation out of this current recession. However, local and national candidates seem to agree that it will be a few years before the economy turns around. In Flagstaff, the business incubator group known as NACET, the Northern Arizona Center for Entrepreneurship and Technology, is doing what it can to help those with business plans turn their business ideas into a reality. Russ Yelton is the president of NACET and he says the last few years have driven some unemployed people to turn to self-employment. “Given the state of lack of jobs in our area, we have to do what we can to retain smart, educated people. 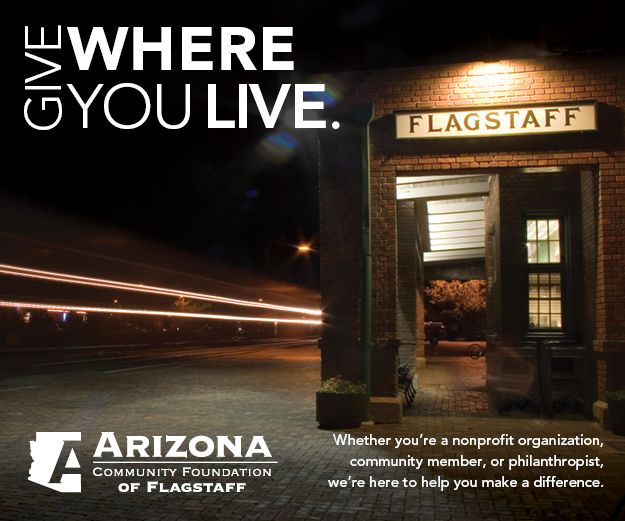 We have a lot of intelligent collateral in Flagstaff and we want to keep them here by offering whatever support they need. That’s what NACET is all about,” he said. In the meantime, Eric Savage, Ph.D., is now a NACET client. He owns First Flight Education, LLC, which is a hands-on classroom program in aviation education that adheres to National Standards for grades four through nine and is aligned with the Arizona Department of Education (ADE) and National initiatives for Science, Technology, Engineering and Math (STEM). “First Flight Education was founded to directly deliver excitement-driven, awareness-building education. Through inquiry-based seminars, engaging science and aviation stations, and aligned-curriculum, we inspire the next generation to pursue fields in Science, Technology, Engineering, and Math, engage the young learners in STEM-related disciplines that have real-world applications and occupations, and educate the next generation of pilots, air traffic controllers, and aeronautical engineers,” Savage said. Savage is grateful for the assistance he received from NACET. “The guidance, advice, nurturing, and encouragement provided to a young start-up company, combined with the assets in people, technology, networking and culture that exists at NACET is invaluable to everyone interested in starting or improving their small business. I believe in the people who work, mentor, and advise on NACET’s behalf and First Flight Education, LLC would not be as successful today without their invaluable services,” he said. NACET can be reached at 928-213-9234. The Coconino County Career Center can be reached at 928-679-7400.